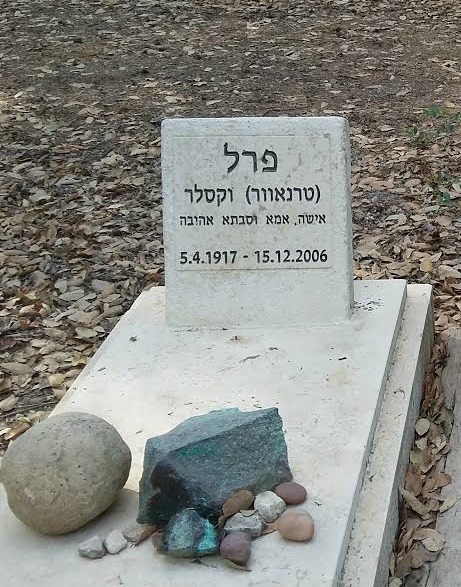 Last month my husband was at a kibbutz cemetery attending the funeral of Ruti Herman, a woman who was very dear to him and our family, the mother of the family that “adopted” him when he came to volunteer at Kibbutz Hazorea 27 years ago. Walking around the cemetery, Josh was struck by this simple gravestone below. Judging from the dates of her life, it appears that this woman was among the founding members of the kibbutz, whose days were full of hard work–maybe in the kibbutz fields or factories or administrative offices. But when she died, suddenly none of that seemed so important anymore. That’s beautiful. Thank you Jenny! 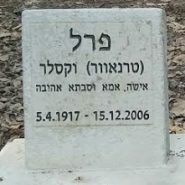 Some families (including mine)have a minhag to be very concise about what they put on their headstones. They believe that after 120 when a person goes up to heaven they will be judged if they lived up to the praise that is written on their headstone.